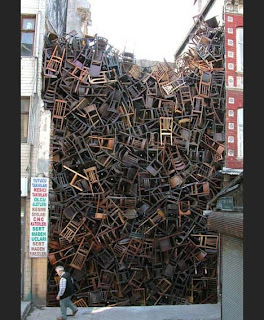 As daily readers of The Canadian Design Resource, a particular posting inspired us to do some contrasting and comparing of our own. 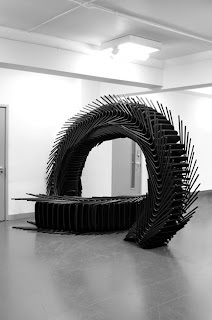 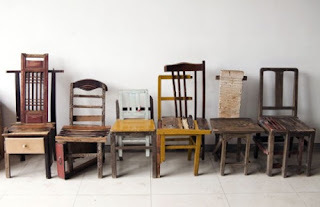 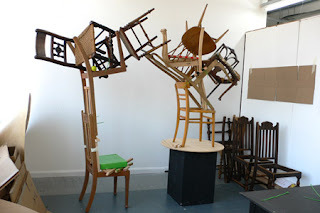 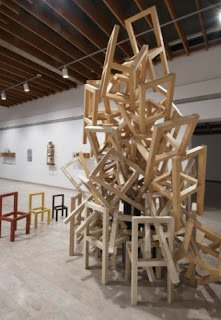 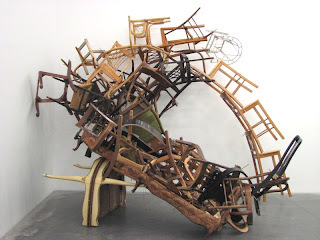 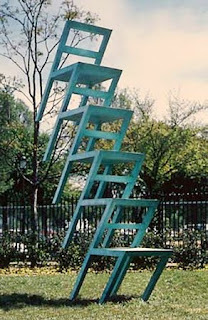 Apparently for reasons unknown to the NDC, artists are fascinated by the stacking, decapitation, and repetition of the everyday mundane chair. 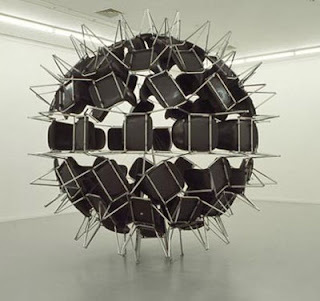 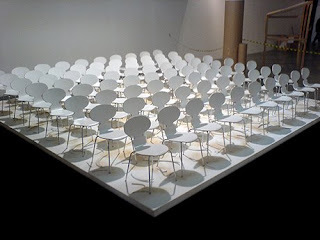 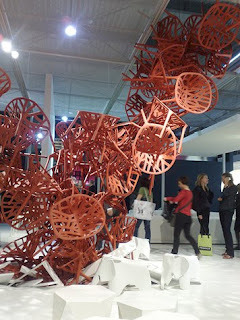 "Sporadic Happenings - Chair Installation" - T. Janz, B. Kindler, et al.